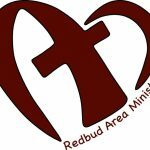 Our church has been one of the supporting partners of Redbud Area Ministries for many years. This community agency provides food, clothing, furniture, and more to those in Buchanan and Galien that have fallen on difficult times. For many people in our community our church is “the one where the Boy Scouts meet.” We have had a wonderful working partnership with Scouting since 1926, and is recognized as a Shepherd Church by the United Methodist Men for its continuing support for the development of boys and young men. 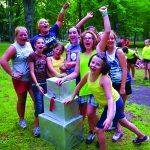 As a United Methodist Church we support several camps throughout West Michigan that provide sites for spiritual growth, retreat, and recreation. There are camps for all ages and interests. Check them out! Prayer is at the heart of our caring ministries. We want to hear your needs and pray with you. Please leave your prayer requests on our phone message system. We also have a couple of knitters, crocheters, and sewers who make prayer shawls. These shawls are prayed over and given to those in need of comfort and solace. 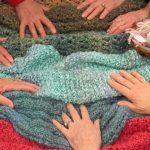 These handmade prayer shawls are a symbol of God’s compassion and unconditional love, which can wrap, enfold, comfort, cover, shelter, uplift and affirm. If you need one for any reason, just contact us! 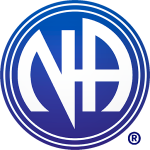 On Friday and Sunday evenings, a Narcotics Anonymous group meets in our building. The meetings begin at 7pm — usually in our fellowship hall. 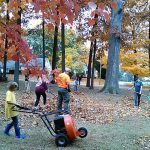 Several times a year we encourage our members to be involved in volunteer service opportunities. These include participation in Change the World Day, and coordinating the Buchanan Make a Difference Day . In addition we have worked with the Southwest Michigan Human Trafficking Task Force to help train our police officers and get information on identifying victims to area businesses. And Much More — Come and Find Out!